Forensic psychotherapy is a talking cure that aims to work with meaning-making processes and defensive manoeuvres in offenders, in order to make them progress in their search for the meaning of the offence. An offence can be understood and contextualised once it is considered from the perspective of the life history of the offender. At the same time, the question of where the violent or sexual motives come from is much more difficult to grasp. This paradox is problematic to society that wants an answer from the criminal, but it is also problematic to the criminal him- or herself. 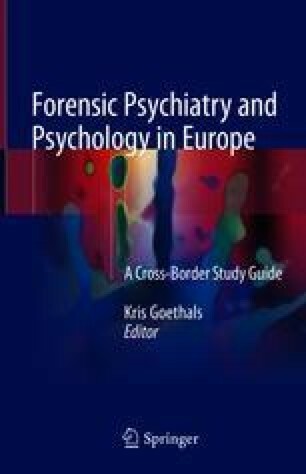 The development of the embeddedness of forensic psychotherapy in English and Dutch forensic mental health institutions and the relevance of training are described and explained. For Belgium, two small-scale projects are discussed that cater for mentally ill offenders who have difficulties to cope with more intensive psychiatric care. Within these projects, patients are offered the possibility to take part in therapeutic activities on a voluntary basis. The aim is to motivate people, who have difficulties to socialise, participate in group and reconnect with other.